Thank you so much for sharing your thoughts last night. 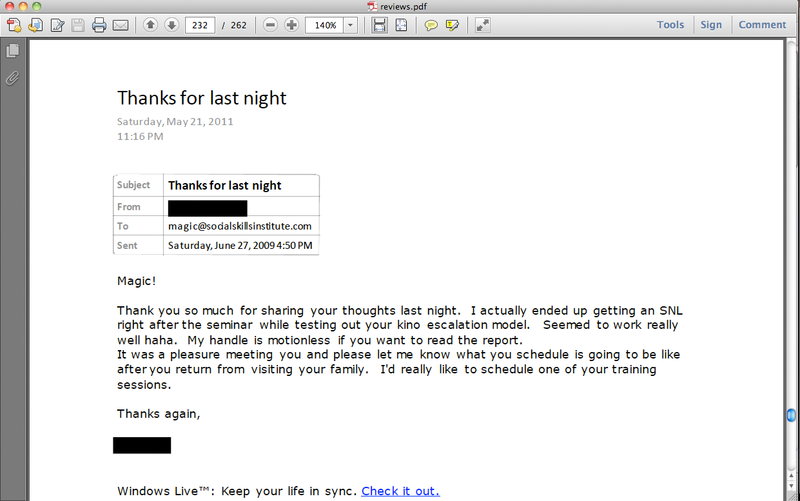 I actually ended up getting an SNL right after the seminar while testing out your kino escalation model.Seemed to work really well haha. My handle is motionless if you want to read the report. It was a pleasure meeting you and please let me know what you schedule is going to be like after you return from visiting your family.I’d really like to schedule one of your training sessions.